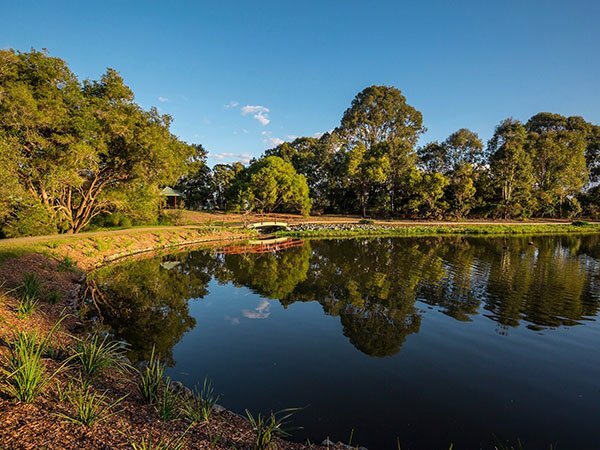 AWC prepared the detailed design and construction supervision for WSUD components of the estate. Tasks included MUSIC modeling, system sizing, drawing preparation and reporting. 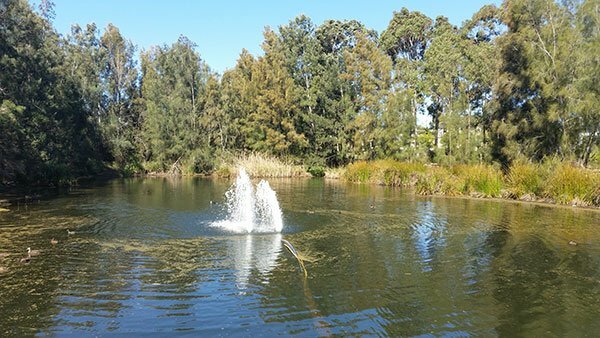 Within Riversdale Park in Meadowbrook is a constructed water body , once farm dam now a high profile lake. 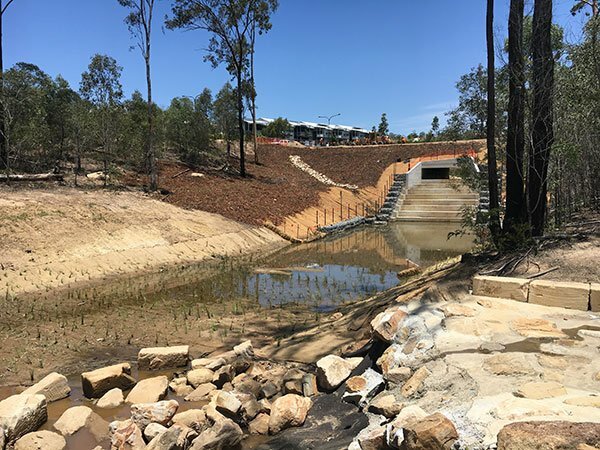 AWC were engaged by Logan City Council to re design the water body considering water quality, public health, habitat, safety and amenity values. 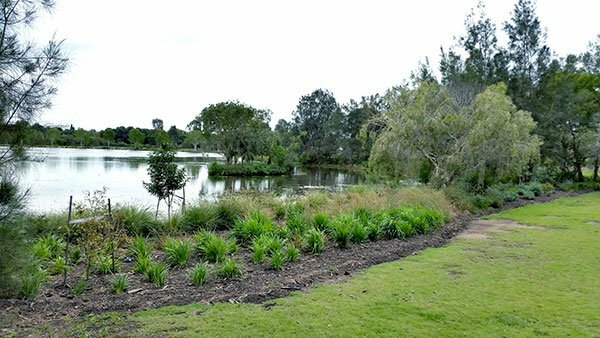 Prepare a rectification design and REF for remedial works at Voyager Point Park Wetland. 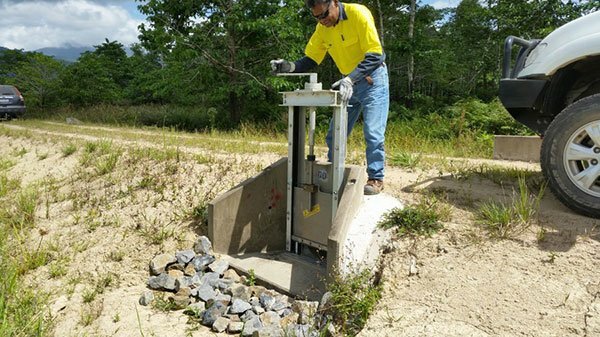 The stormwater treatment devices is not functioning as designed, short cutting the system and flooding neighboring roads in high rain events. 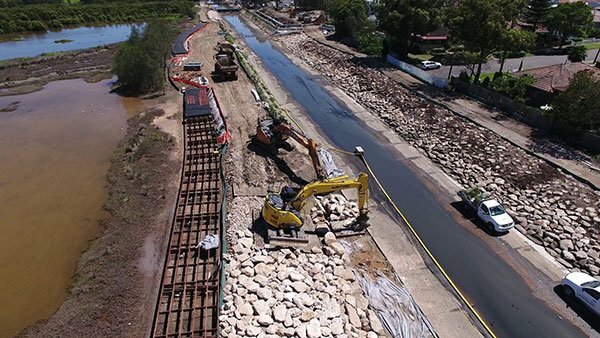 Following a landslip at Upper Coopers Creek, Byron Shire Council and NSW Public Works identified a potential route for the construction of a temporary access road. 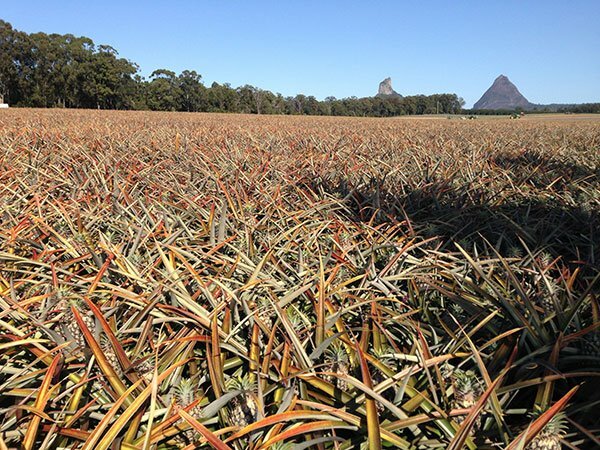 AWC completed targeted flora survey and vegetation mapping along with a contamination assessment. 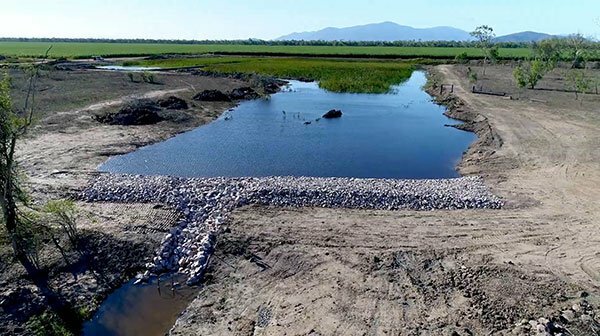 In addition to completing these two assessments, AWC also completed the Review of Environmental Factors (REF) and completed extensive consultation and liaison with relevant stakeholders. 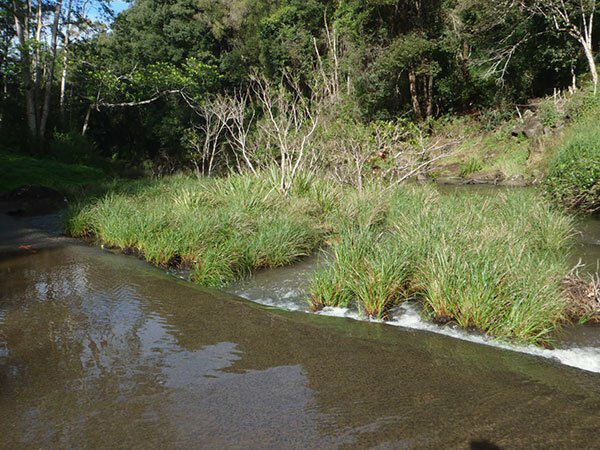 Powells Creek was a concrete tidal waterway rapidly degrading due to it’s age.As part of it’s renewal 700m of waterway was naturalised to include vegetation, sinuous batters a boardwalk and improved parkland. 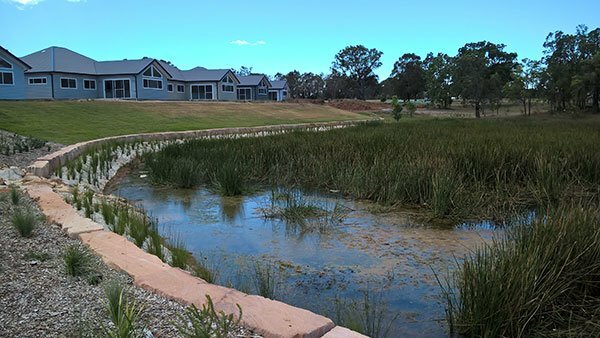 Opossum Creek at Springfield lakes Estate required rehabilitation as a condition of development works within the surrounding catchment.